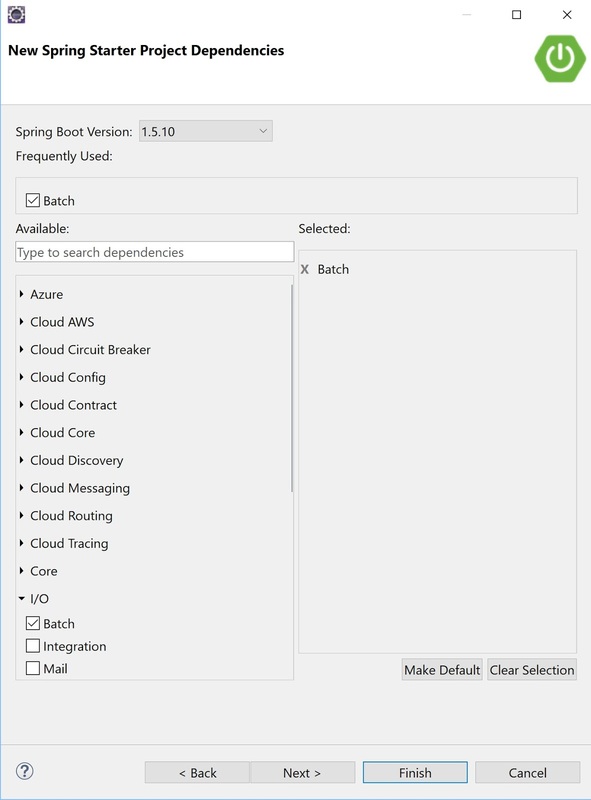 In this tutorial, we show you how to configure Spring Batch Boot Job to read information from a CSV file and write to MySQL Database using Eclipse Oxygen Java. Spring Batch Boot to read from MySQL database using JdbcCursorItemReader and write to a Flat file using FlatFileItemWriter. 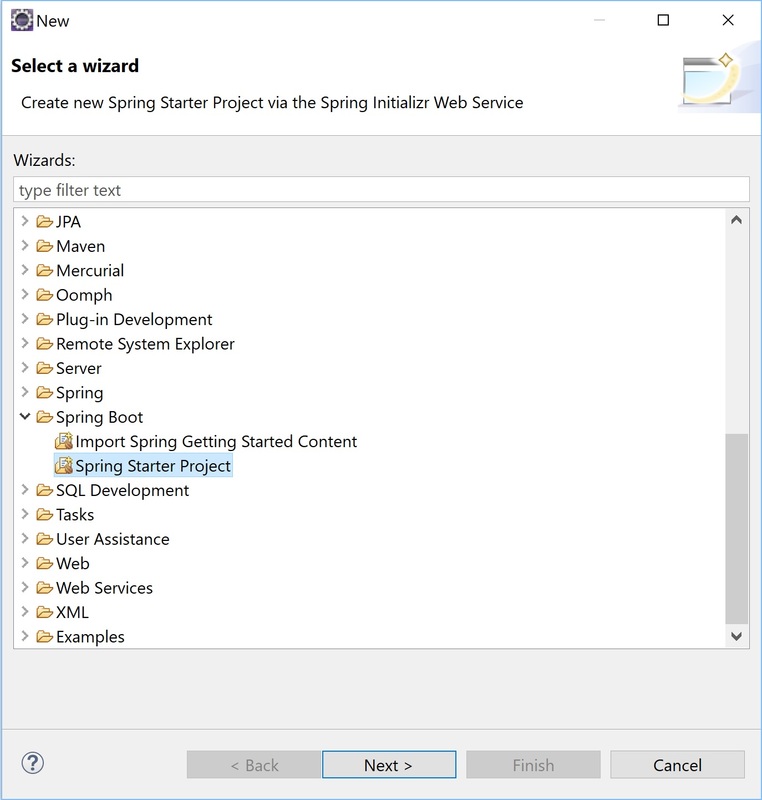 Open Eclipse IDE and install Spring STS Eclipse - Spring tools Eclipse. 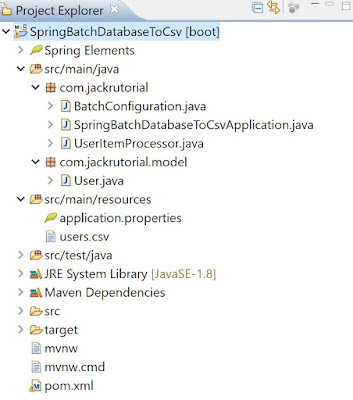 A custom user processor class that will process each and every User object. 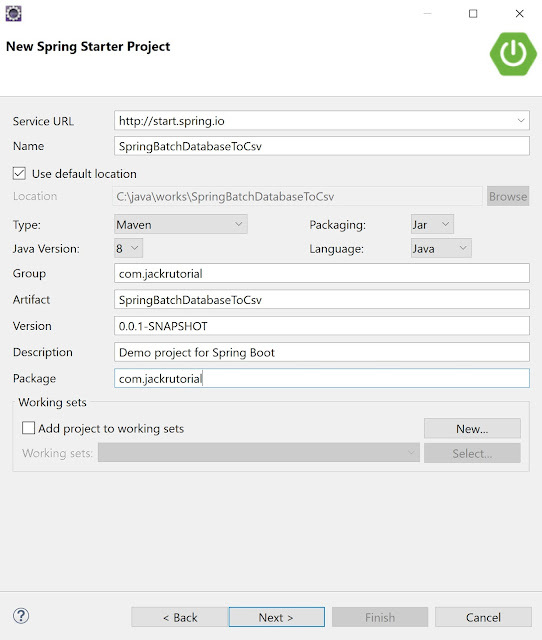 Create a UserItemProcessor class under com.jackrutorial package and write the following code in it. 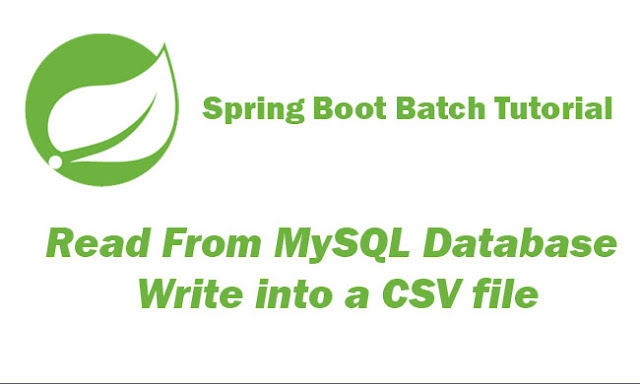 Create a Job which will read from database and write into csv file. 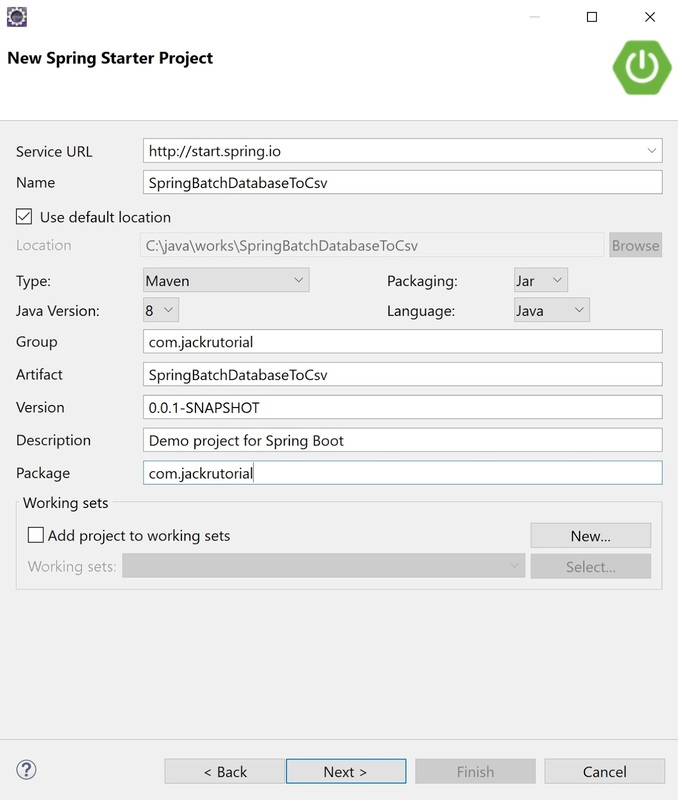 Create a BatchConfiguration class under com.jackrutorial package and write the following code in it. Right click to the SpringBatchDatabaseToCsvApplication class, select Run As -> Java Application. 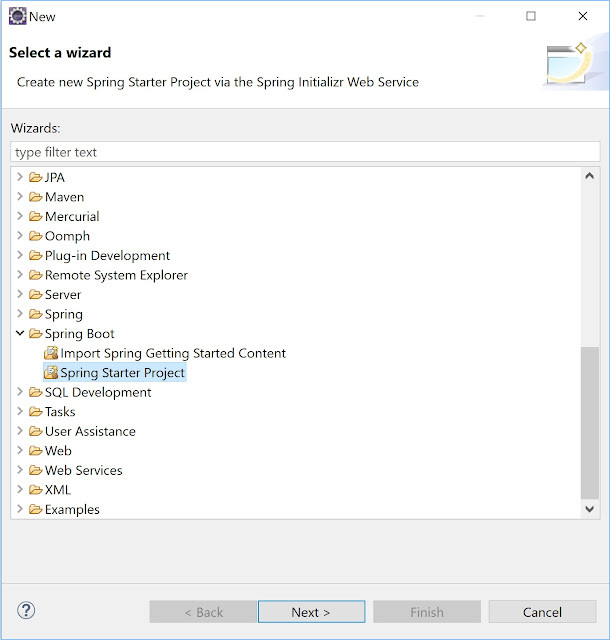 This application will read data from user table and write into users.csv file.